How to play fake webcam videos in MSN Windows Live Messenger? 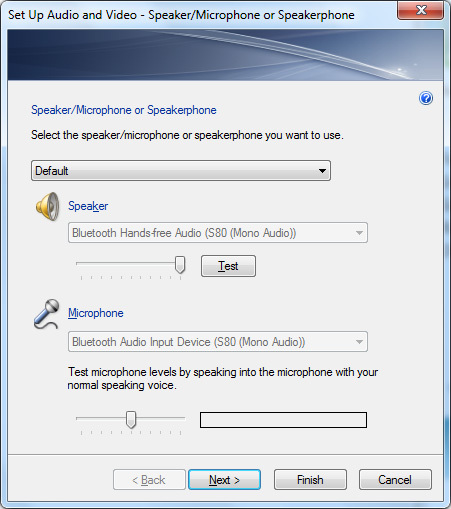 Click on 'Tools' menu and select 'Set up audio and video devices...'. Click 'Next' for go to video settings window. 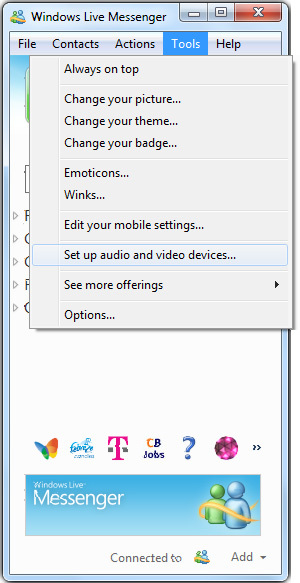 Select 'Fake Webcam Source V6.1' from drop down list and click 'Finish'.You must restart MSN messenger for settings to take effect.